It might seem somewhat ironical that the Stockman’s Challenge was created as a memorial for Reg Brown. Yet, that one small idea – that one small act of generosity – has created a new benchmark in the Australian Horse Industry. Reg Brown was a highly respected grazier from Nonda Downs near Julia Creek. He was a dedicated stud breeder and his sheep, cattle and horses attracted wide success and admiration across Queensland. He was also famous as the owner of Macdougal, winner of the 1959 Melbourne Cup, the man who brought one of Australia’s greatest icons back to the bush. Horses were his long life passion: when he was younger, he loved starting a good colt, he adored racing – Reg Brown was a horseman: he just liked being around them. In 1981, at the age of 61, he contracted a rare heart virus during a visit to Sydney. Two years later, in July 1983, he passed away suddenly while uploading cattle. He had finished telling a joke to one of the stockman and he was walking to open a gate beside a bauhinia tree. As endings go, it was a good one. Reg and his daughter Heather shared a great love of horses and the bush, and he taught her everything he knew. They were also mates: when she showed her horse at the Cloncurry Show you would see then sitting at the church stall together drinking tea, eating sandwiches and laughing. His death was a great loss to her personally, and, in the dark days that followed, Heather began to realise he would not want her to continue to grieve. So she decided to create a fitting memorial for her father. This was the first seed of the Stockman’s Challenge. Peter Abdy, a neighbour at the time, and Heather were mustering cattle together, when she mentioned her idea to him. They sat and drank billy tea under a bauhinia tree and drew mud maps as possible camp draft and working putters in the dirt. She later asked legendary bush artist Hugh Sawrey to create the famous hat and spurs logo for her – and the distinctive image was created. Peter – who was deeply passionate about all things Australian – was completely captivated by the idea. 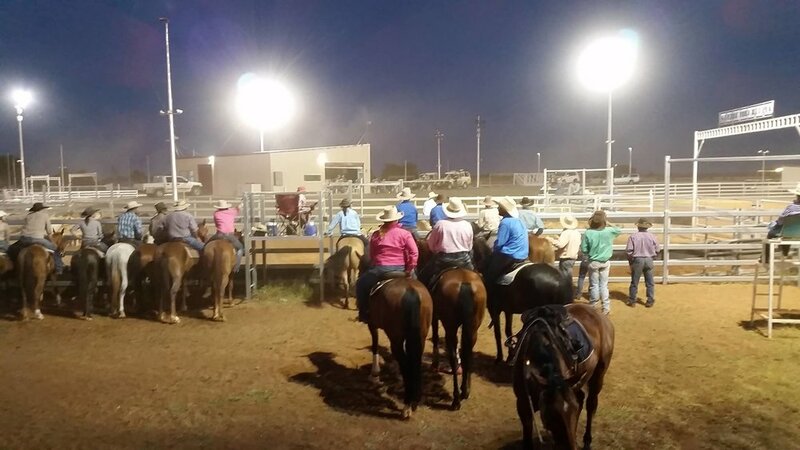 He convinced the Cloncurry Show Committee to host the inaugural event, and Heather designed and commissioned Hardy Brothers to create the Reg Brown Memorial Cup. The original solid silver quart pot – now valued around $20,000 – has become something of a national bush icon. 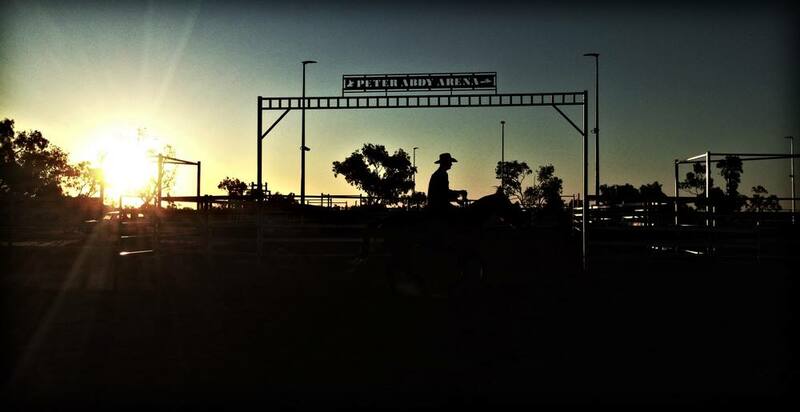 It was a point of contention that the famous cattle town of Cloncurry did not get the Stockman’s Hall of Fame: it went to Longreach, a wool-growing town instead. But the Stockman’s Challenge would ultimately become something equally more important: a living tribute to the Australian horseman. The Stockman’s Challenge has become the bench mark for young performance horses in Australia: it was the beginning of a new era. The only other events of any similar stature were the Warwick Gold Cup and the NCHA Futurity. There were no other aged events with set patterns: The Stock Horse Futurities, Widgee Futurity, the Rocky Rush and the Maiden Series would all eventually follow the lead of the Stockman’s Challenge. In those 20 years, the challenge achieved remarkable things for the Australian horse industry. It brought campdrafters, reiners and cutters together. It taught the industry that things that unite are far greater then things that divide. We began to put our prejudices behind us and started sharing our skills – which gave us the horse industry a greater resource of knowledge. The results now speak for themselves. The Challenge has put its brand on our genetics: we are now producing better horses sooner. Originally, a horse was still considered young at 7 or 8 years old – and our good mares bred at 15 or 16 if at all. A stallion was usually 20 years before we know if his progeny were any good. The Challenge has changed all that. Australia in recent years and the challenge has put its brand on that as well. Today, we are seeing great runs being made by horses that are still only 4 years old – and they can do this because of improved genetics – and improved training technique.